Check us out on Facebook at Ovarian Psycos Facebook. 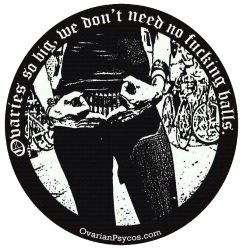 Ovarian Psycles invite you to contact us to host or co-host rides and events that fit with our mission/vision. Please email all such inquiries to us along with a complete OPC EVENT PROPOSAL FORM up to 2 weeks prior to the event. Holla!